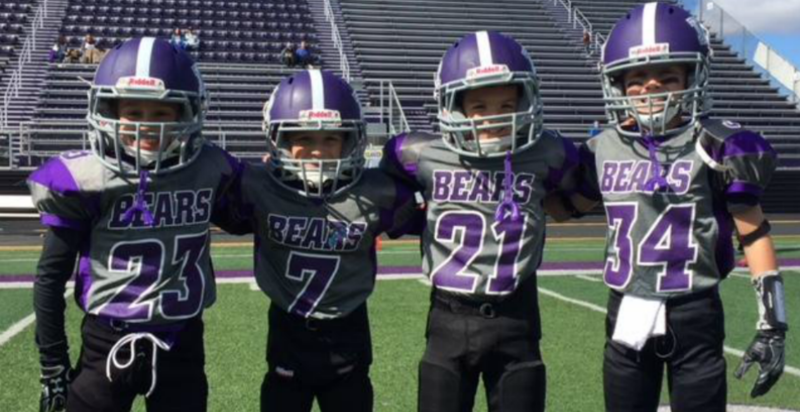 Players must be either a resident of the North Royalton School District or attend a private school within the North Royalton School District boundaries. The North Royalton School District serves students within North Royalton and part of Broadview Heights. We accept players on a first come first serve basis, and it is not required to have previous football experience at any grade level. How old can the players be? Modified tackle will be offered based on interest. If we don't have enough players in your child's age group to field a modified tackle team, we will offer them a spot on a regular tackle team or provide a refund. Can my child play up or down a division? Players can play up 1 division. Under no circumstances can a player play down 1 division. What can I expect as far as practices? Practices usually start at the end of July. League regulations stipulate a maximum of 6 hours of practice per week until the season starts, then a maximum of 4.5 hours per week. Practices are held at fields within North Royalton or Broadview Heights. Games are usually held on Saturdays beginning the last weekend in August. Players are required to arrive one hour early for weigh-ins. Home games are usually held at the Rock field behind NR High School or the NR High School Stadium. Away games are usually held at the opposing team's venue. On occasion, games may be held at a neutral site due to scheduling issues. 7 regular season games plus at least 1 playoff/consolation game based on regular season record. What is the policy on missing games or practices? Playing time will be at the discretion of the head coach. We do strongly recommend attendance for all practices & games. If the player is unable to play due to injury or illness we would like them to come and support their teams when possible. 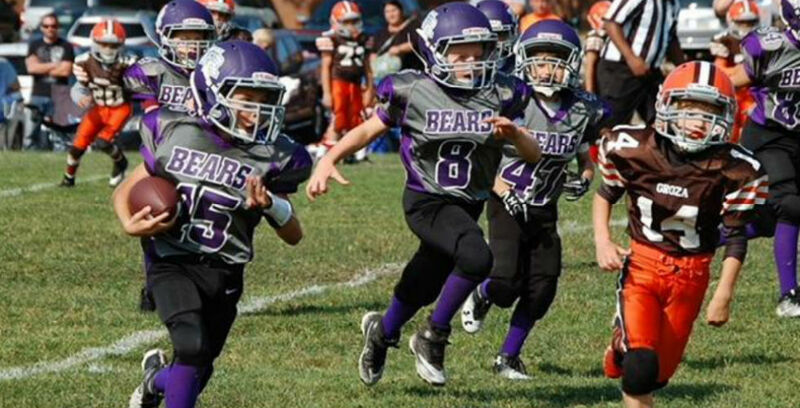 NRYF provides the following: Helmets, game jerseys, shoulder pads, game pants, practice pants, belts, a mouth guard, and both hip and thigh pads. 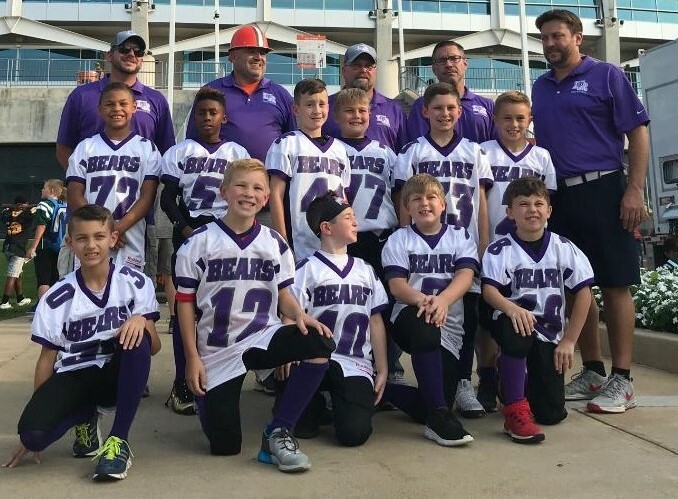 You will need to get your child cleats (molded only--NO METAL SCREW IN), extra mouth guards, a practice jersey (a large t-shirt will suffice), and a water bottle. Players get to keep the game jerseys after the season. Players will be charged for any unreturned equipment at the end of the year. 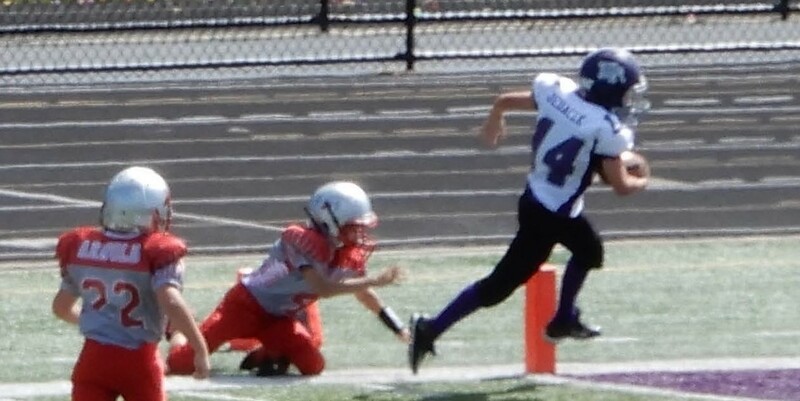 What are the requirements to coach tackle for NRYF? 1. Pass a criminal background check yearly. 2. Become certified in concussion awareness. 3. Become a USA Football Certified Youth Tackle Coach. 4. Conduct him or herself in adherence with NRYF values and rules. 5. Keep the best interests of the players in mind at all times. Can I help out without being a coach? Yes. Please contact the NRYF board for volunteer opportunities.